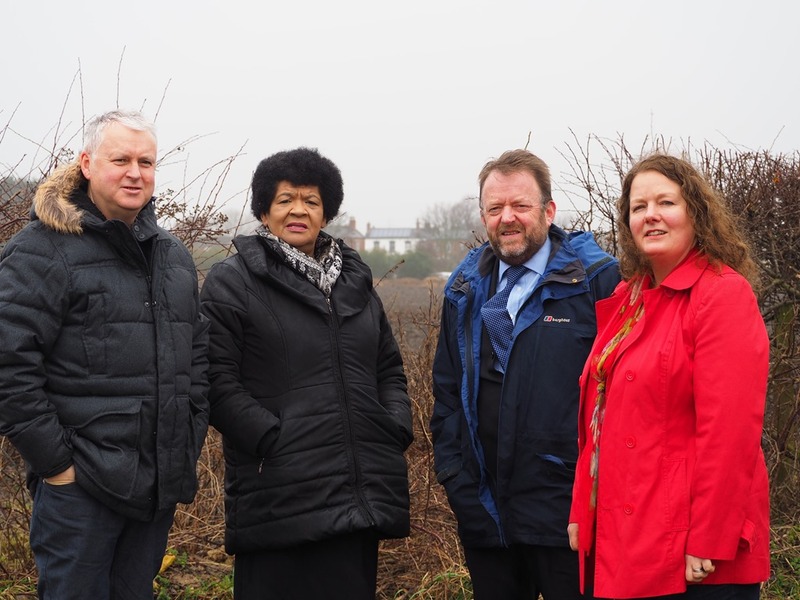 You may already have heard the disappointing news that the government inspector has overturned the Labour council’s decision to refuse planning permission to build 129 houses on Strawberry Fields in Carlton. The council listened to us and understood why this was entirely inappropriate development and therefore correctly turned down the application. Despite hearing compelling evidence from myself and members of the Carlton Neighbourhood Forum the government inspector chose to ignore all of the local knowledge and expertise and overturn the council’s refusal of planning permission. The Government planning inspector looking at Strawberry Fields, he has overturned the Labour council’s decision to turn down the planning application. We gave it our all speaking on behalf of the village at the appeal and fought the good fight for Carlton. Along with other residents I spoke passionately for the village and against its over-development. I also went to the inspector’s site visit to Carlton to show him the impact such a large development would have – including the current rhubarb production and Rhubarbfest. The windy village roads, which already suffer at school drop off and pick up times can’t cope and local village services and infrastructure can’t absorb a development of this size. It’s so frustrating that local decisions can be overturned by a national government as it flies in the face of local democracy. Some may try to blame the council for this decision for their own reasons. But I can’t be clearer that this decision was made by the government inspector and it is plain wrong as he could and should have listened to us as people who know the village and live here. Unfortunately the previous Conservative/Liberal Democrat coalition government relaxed planning legislation to help developers by having a presumption in favour of ‘sustainable development’ which makes it much harder for local councils to stop development and for government planning inspectors to overturn local decisions. I want to thank all the local people who worked tirelessly to fight this, who put in many hours of their time on behalf of the community and to those who objected and attended village meetings. We now all need to get together and think about next steps. The important thing is that we continue to work for what is best for Carlton. We can still make a difference in shaping the exact development that will take place. We need to make sure it’s the best it can be to fit in with the existing village and to still try to maintain the character of our village. I will make it my priority to push the council for the improvements that will be badly needed with such a development. We will certainly have had more than enough large development so it is more important than ever that we continue to produce our village plan. Carlton is a fantastic village and I’m determined that it will continue to be. Despite this blow to our collective spirit, it won’t be defeated. We have to look to the future and re-group. By continuing to work together with a passion for Carlton, we can ensure that we get the best for Carlton residents, businesses and a thriving Carlton village community for many decades and generations to come. I’m so delighted as a councillor (and as a resident!) for Carlton that Leeds City Council has backed local people and our community campaign and turned down this totally unsuitable application for 129 houses in the heart of Carlton village. still be sent in after the official deadline. We all know if this application was allowed it would change the face and character of the small village of Carlton forever. The small village infrastructure cannot cope with such a huge development. The school, local doctors surgeries, the local village roads, drains and other services could not take the scale of development proposed. It was fantastic to see the turnout of villagers coming together at the village meeting earlier this year uniting against the overdevelopment of our village. Thank you to everyone who has joined in the fight and submitted your comments and objections, which were all taken into account when the decision was made. It is great that this application has been turned down but we must be on guard in case we need to continue the fight, as the applicant has the right to appeal against the decision of the council to the secretary of state. You can be assured if this happens I will be fighting all the way again with Carlton villagers. You can view the refusal of outline planning permission on the Leeds City Council website. It was fantastic to be able to help wonderful local Rothwell transport charity FDM to enable them to deliver a new initiative combating social isolation and loneliness. A grant of £2,800 from the Council’s Outer South Community Committee, which I chair, and Cllr David Nagle also sits on, has been provided for the ‘Miles of Smiles’ project, which will provide trips out, both locally and further afield, for older and disabled local people living in Rothwell and its surrounding areas. Through the project, For Disability Mobility (FDM) will provide a variety of opportunities for the elderly and disabled so they can continue to live life to the full and have an active role within their community. The organisation is aware through other initiatives, such as their social club, that by helping people form new friendships many people can feel they have a new lease of life. The ambition of the project is to deliver 27 trips over nine months, helping at least 324 people get out and about and feel more independent, as well as improving their mental wellbeing. Another aim is to promote and communicate the service provided by FDM across the area to attract new service users. The grant from the Outer South Community Committee supports the delivery of at least three trips a month using FDM’s two fully-equipped 16-seater mini-buses, which can also safely carry wheelchair users and wheeled walkers. The second mini bus became available in September 2016, when the organisation increased its capacity and improve comfort for their members. 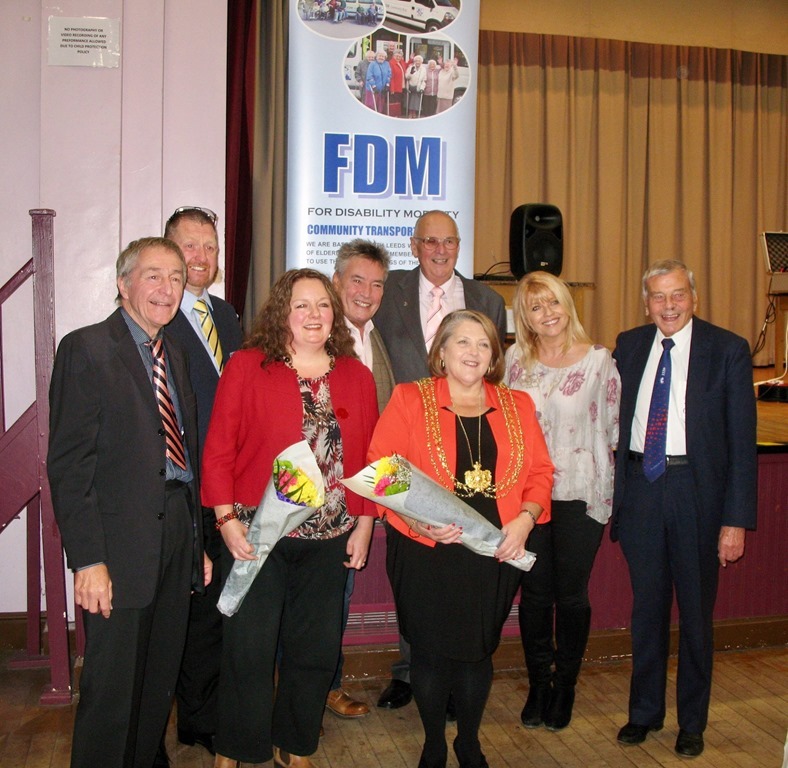 It was great to attend FDM’s 20th anniversary celebrations, attended by the Lord Mayor of Leeds and FDM’s patrons Christine Talbot, Billy Pearce and Dicky Bird. 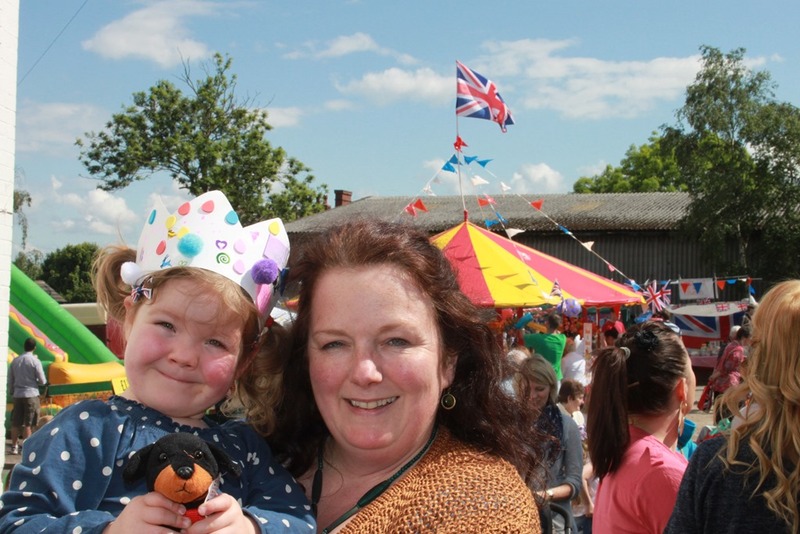 There was a lot to celebrate, getting so many of our local older people out and about and meeting friends over a 20 year period is something to be applauded. FDM provides an absolutely vital service to many people across our local area. my ward colleague Cllr David Nagle and I work very closely with them all-year round and I am delighted that we as the Community Committee could provide a grant to them to support the delivery of such a brilliant project. Social isolation and loneliness is a huge issue but one which can be hidden. We must do everything we can to prevent it and the ‘Miles of Smiles’ project is a fantastic way of getting people out of their homes and bringing them together. 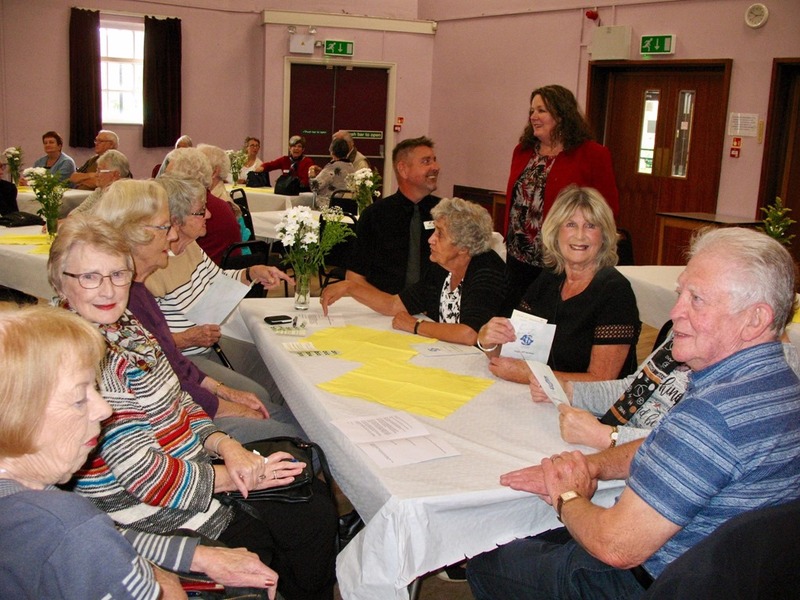 Our Community Committee is very happy to support such a worthwhile initiative and it is very fitting that following FDM’s 20th anniversary, we can fund this marvellous project to allow them to reach even more socially isolated and lonely older people than ever. You can find out more about FDM at its website. A planning application for 129 homes has been submitted this week to Leeds City Council to build on Carlton’s Strawberry Fields. lanning application to build on Carlton’s ‘Strawberry Fields’. We, as Rothwell Labour councillors, wrote to residents immediately to reassure that we will be fighting this application for 129 houses all the way as Carlton just can’t accommodate a development of this size. This is to reassure residents that now the planning application is in we are working with local people and the Carlton Village Neighbourhood Forum to oppose it. We are against these plans which are totally unsuitable and would change the face and character of the small village of Carlton forever. We all know that the small village infrastructure cannot cope with such a huge development. d its associates put Strawberry Fields forward to Leeds City Council as a possible site allocation for building some of the new homes that Leeds will need in the next decade. However, the council rejected this as it isn’t a suitable site. One of the primary reasons being that it would change the character of a small village beyond all recognition. However, the council recognised the need for some new homes in Carlton, which is why a smaller part of the site (at the north end near The Unicorn and Carlton Club) was identified as suitable. It rejected the agricultural green field as it wasn’t suitable. The development would put an intolerable strain on the drainage system of a small village. Local schools are already full. Carlton’s heritage is very closely linked with rhubarb and its production. It’s rhubarb sheds have featured on national TV, coach tours visit Carlton to see the production of our famous rhubarb. Carlton primary school named its classes after varieties of rhubarb to teach village children about their heritage. The school children have regularly toured the rhubarb sheds. 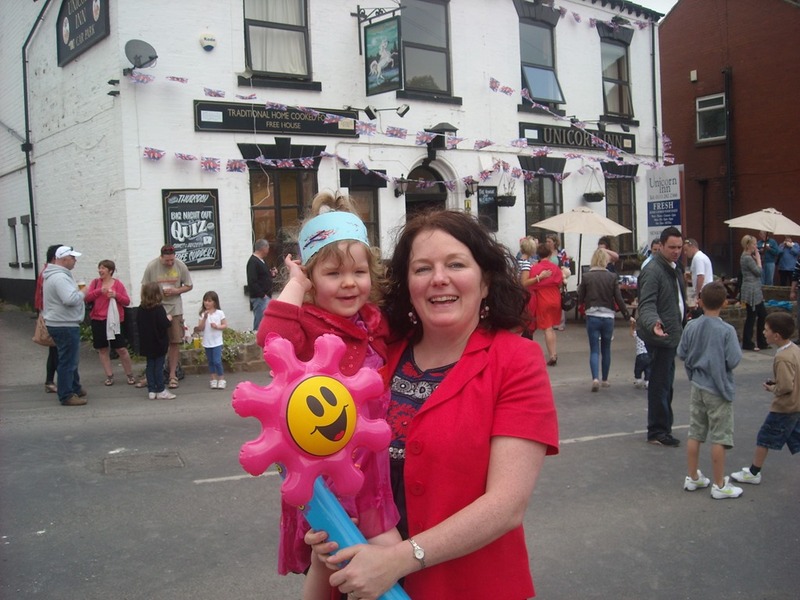 dition to close the road through the village to hold the Rhubarbfest celebrations, on the road, on council land and working with local businesses, it is important to community life that this tradition is allowed to continue. It is unlikely that it could continue as usual in the face of this development. A village meeting is being organised in the next couple of weeks (date to be confirmed shortly) where you can come along and discuss the issues with us your local councillors, the Carlton Village Neighbourhood Forum and residents supporting ‘Save the Rhubarb Triangle’. If you oppose this application, then it is important to put in your own comments to the planning department of Leeds City Council. You can put in your objection either via e-mail to Planning@leeds.gov.uk, in writing to the Principal Planning officer at the Development Department, Leonardo Building, 2 Rossington Street, Leeds, LS2 8HD or you can visit http://publicaccess.leeds.gov.uk/online-applications/ and follow the instructions to comment online. Please include your name and address as anonymous comments will not be considered. Also, please be aware that all comments received about an application are made public and your comments will appear on the internet on Public Access. The closing date for comments on this application is by Friday, 23rd March 2018. We have written again this week to update Carlton residents on the planning application. By standing firm together we can win this battle, save Carlton from overdevelopment and keep the character and heritage of our village. next year’s local council elections. I’m delighted and honoured that they’ve chosen me (Karen Bruce) and David Nagle your existing councillors as well as a fantastic new candidate to contest the third Rothwell council seat. 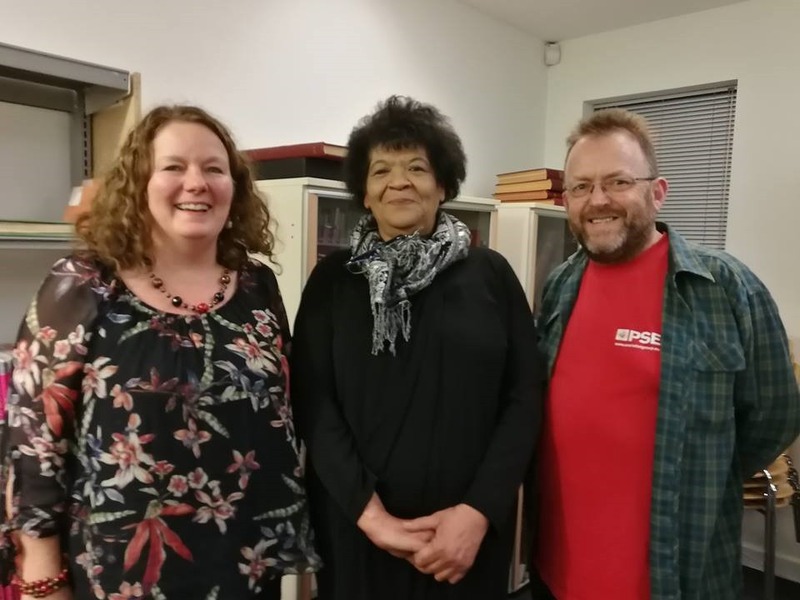 At a meeting of local members on Friday 1 December we selected Sharon Burke. She told the meeting of her passion for giving local people the education, skills and employment they need to get on. Sharon spent many years working for the Job Centre and some may recognise Sharon from the seven years she spent working at the old job centre on Butcher Lane in Rothwell. She also worked as manager at Hunslet Job Centre. It says something when on leaving the job centre, 300 local people signed a petition to try to get her to stay! 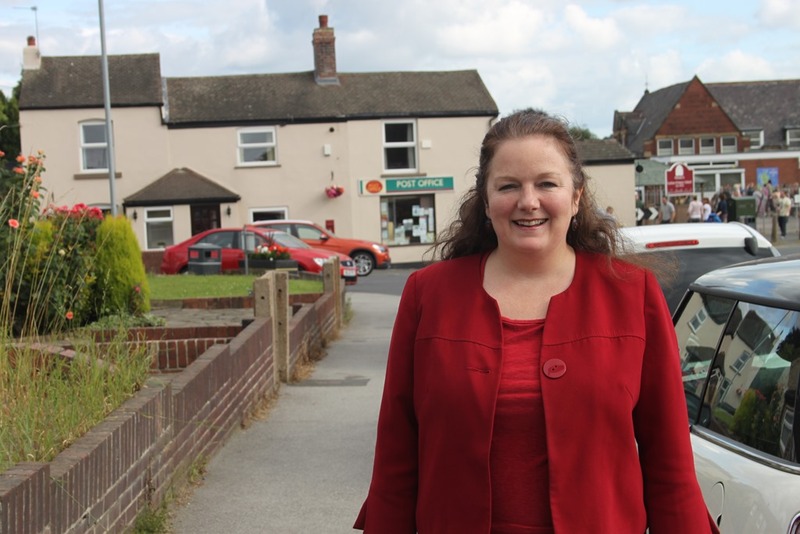 Sharon impressed the local people at the meeting with her knowledge of many of the local issues Rothwell faces including her interest in the campaign by residents of the former coal board estate in Oulton, already coming up with ideas to help with the campaign before even being selected. Sharon also was well aware of the parking issue on Wood Lane and is keen to see progress with the situation. Sharon told the meeting that she doesn’t support HS2 and that she wants to help protect our local green fields. Sharon is looking forward to working with us on the campaign and we are pleased to have her on the Rothwell Labour team. Next year’s local election will be unusual in that all three council seats will be up for election at once. This means it is vitally important that you use all three of your votes to vote for Karen Bruce, Sharon Burke and David Nagle as it is essential we stop the Tories seizing control of Leeds council. If you vote for other candidates then there is a real risk the Tories will get in and impose even more brutal cuts in Rothwell, while protecting services in their own areas like Wetherby and Harewood.